Cambodia's consumers are being urged to develop a union to represent their interests. A specialist in chemistry and food from the Royal Academy of Cambodia, Chek Sothahas, has found between 41 and 80 per cent of food products in Cambodia contain dangerous substances. 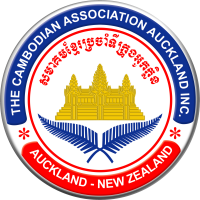 The Cambodian Centre for Study and Development in Agriculture says a union would enable consumers to demand better quality assurance measures for food products. Yang Saing Koma, director of the centre, says consumers should call on producers and businesses to take responsibility for the health of Cambodia. Research by Ms Sothahas has indicated borax and formalin, a substance made of formaldehyde and water, was found in products such as sausage, dry fish, seafood, noodles and meat balls.